This section gives an overview of individual plot classes in Chaco. It is divided in three parts: the first part lists all plot classes implementing the X-Y plots interface, the second all plot classes implementing the 2D plots interface, and finally a part collecting all plot types that do not fall in either category. 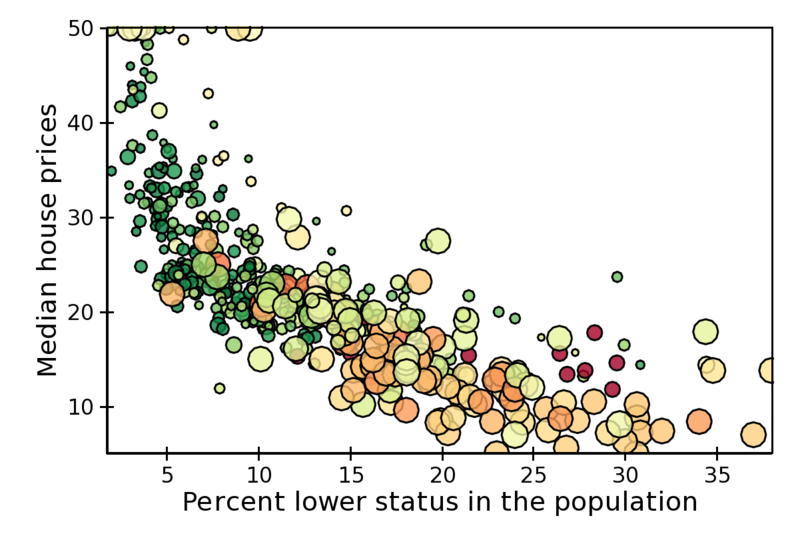 See the section on plot renderers for a detailed description of the methods and attributes that are common to all plots. The code to generate the figures in this section can be found in the path tutorials/user_guide/plot_types/ in the examples directory. For more complete examples, see also the annotated examples page. These plots display information in a two-axis coordinate system and are subclasses of BaseXYPlot. 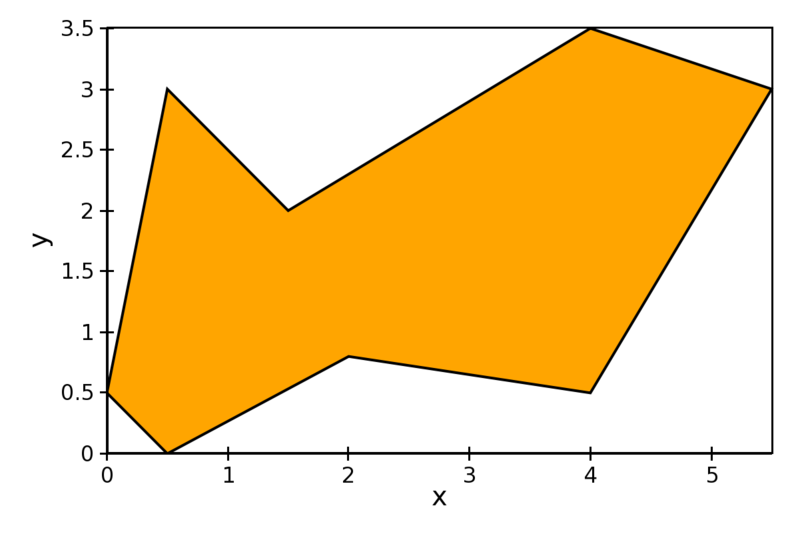 The common interface for X-Y plots is described in X-Y Plots interface. The style of the line, one of ‘solid’ (default), ‘dot dash’, ‘dash’, ‘dot’, or ‘long dash’. The marker type, one of ‘square’(default), ‘circle’, ‘triangle’, ‘inverted_triangle’, ‘plus’, ‘cross’, ‘diamond’, ‘dot’, or ‘pixel’. One can also define a new marker shape by setting this parameter to ‘custom’, and set the custom_symbol parameter to a CompiledPath instance (see the file demo/basic/scatter_custom_marker.py in the Chaco examples directory). Size of the marker in pixels, not including the outline. This can be either a scalar (default is 4.0), or an array with one size per data point. Width of the outline around the markers (default is 1.0). If this is 0.0, no outline is drawn. The fill color of the marker (default is black). The color of the outline to draw around the marker (default is black). 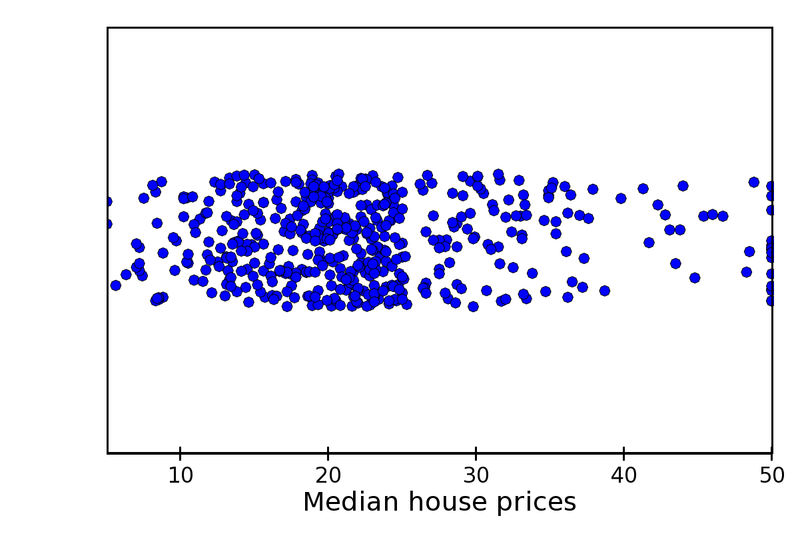 Colormapped scatter plot. Additional information can be added to each point by setting a different color. The color information is controlled by the color_data data source, and the color_mapper mapper. A large number of ready-to-use color maps are defined in the module chaco.default_colormaps. Set the alpha value of the points. In practice, there is not much performance difference between the two methods. A candle plot represents summary statistics of distribution of values for a set of discrete items. Each distribution is characterized by a central line (usually representing the mean), a bar (usually representing one standard deviation around the mean or the 10th and 90th percentile), and two stems (usually indicating the maximum and minimum values). Value of the centers. It can be set to None, in which case the center is not plotted. Lower and upper values of the bar. Lower and upper values of the stem. They can be set to None, in which case the stems are not plotted. Fill color of the bar (default is black). Color of the box forming the bar (default is black). Color of the line indicating the center. If None, it defaults to bar_line_color. Color of the stems and endcaps. If None, it defaults to bar_line_color. Thickness in pixels of the lines drawing the corresponding elements. If None, they default to line_width. 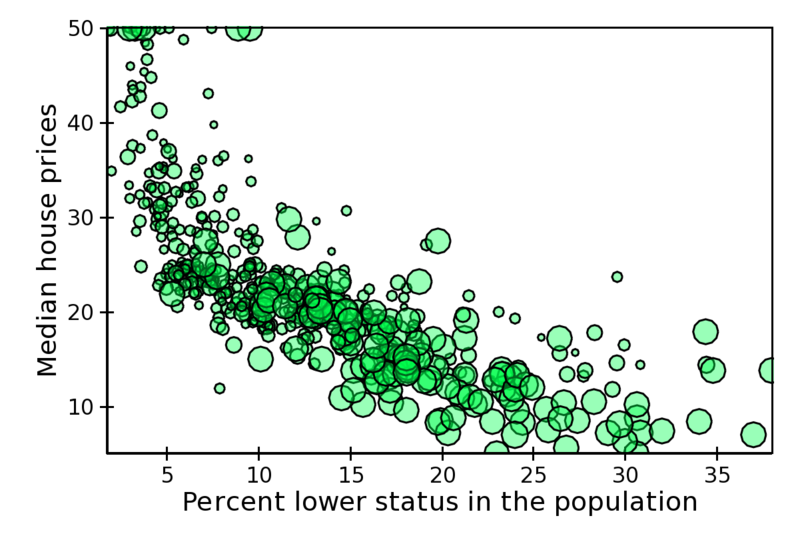 If False, the end caps are not plotted (default is True). At the moment, it is not possible to control the width of the central bar and end caps. A plot with error bars. 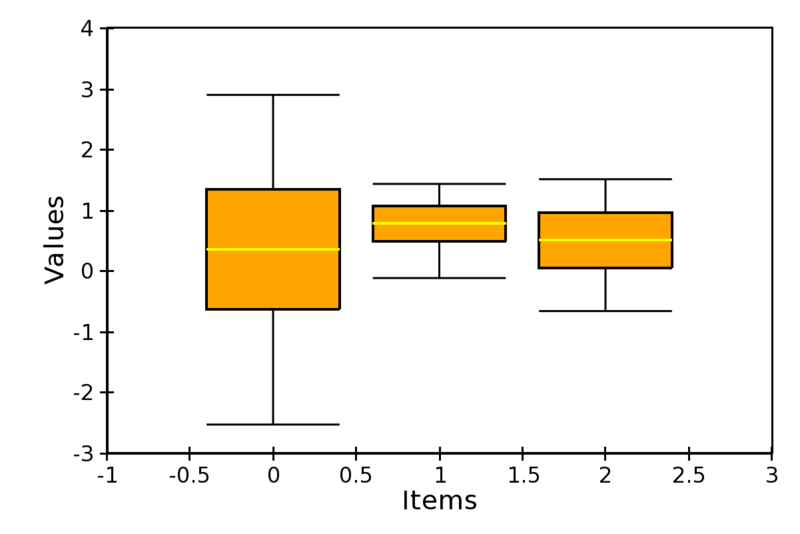 Note that ErrorBarPlot only plots the error bars, and needs to be combined with a LinePlot if one would like to have a line connecting the central values. 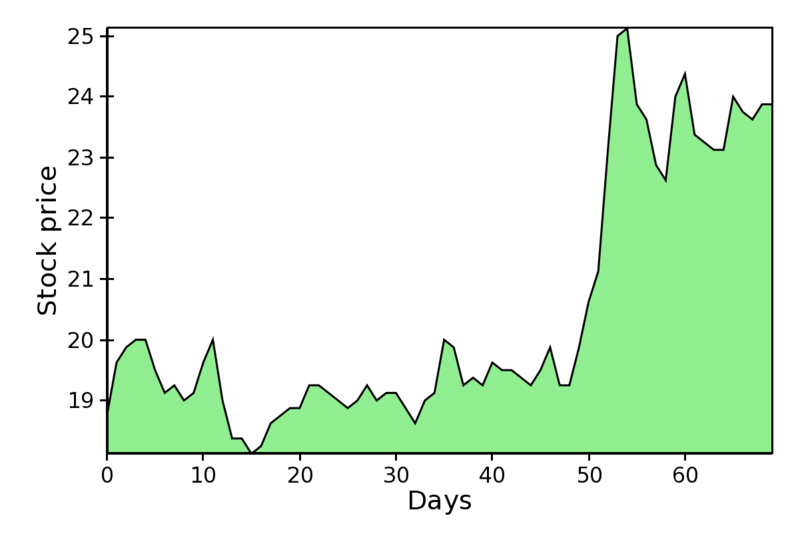 The positions of the extrema of the bars are set by the data sources value_low and value_high. The width of the endcap bars in pixels. Either ‘bar’ (default) or ‘none’, in which case no endcap bars are plotted. A line plot filled with color to the axis. The color used to fill the plot. 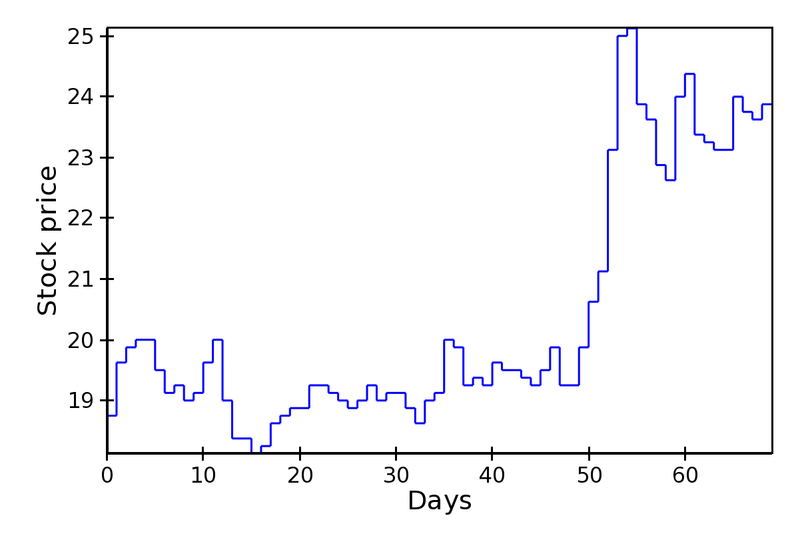 Fill the plot toward the origin (‘down’, default) ot towards the axis maximum (‘up’). The rendering style of the line plot, one of ‘connectedpoints’ (default), ‘hold’, or ‘connectedhold’ (see line plot for a description of the different rendering styles). FilledLinePlot is a subclass of PolygonPlot, so to set the thickness of the plot line one should use the parameter edge_width instead of line_width. A line plot showing multiple lines simultaneously. The values of the lines are given by an instance of MultiArrayDataSource, but the lines are rescaled and displaced vertically so that they can be compared without crossing each other. The usual array data source for the index data. Array data source for the starting point of each line. Typically, this is set to numpy.arange(n_lines), so that each line is displaced by one unit from the others (the other default parameters are set to work well with this arrangement). These attributes are used to compute an “amplitude scale” which that the largest trace deviation from its base y-coordinate will be equal to the y-coordinate spacing. If use_global_bounds is set to False, the maximum of the absolute value of the full data is used as the largest trace deviation. Otherwise, the largest between the absolute value of global_min and global_max is used instead. 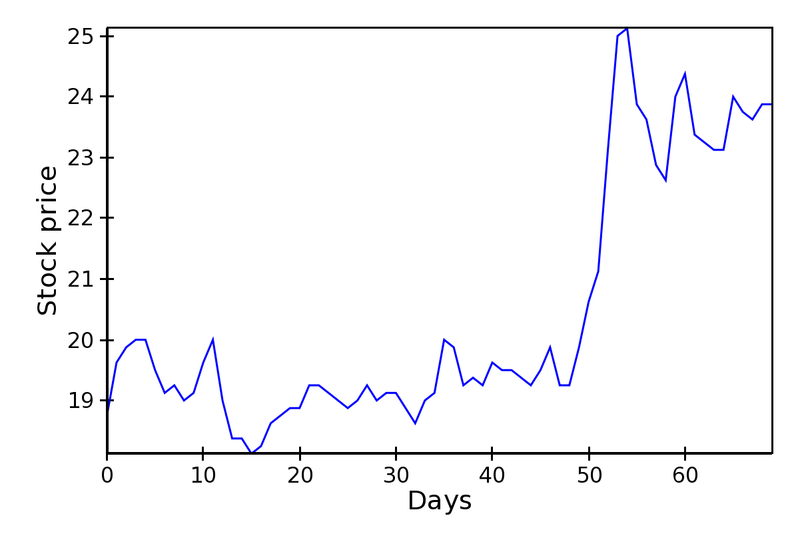 By default, use_global_bounds is set to False and global_min and global_max to 0.0, which means that one of these value has to be set to create a meaningful plot. In addition to the rescaling done using the global bounds (see above), each line is individually scaled by normalized_amplitude (by default this is -0.5, but is normally it should be something like 1.0). Finally, all the lines are moved by offset and multiplied by scale (default are 0.0 and 1.0, respectively). Control the thickness and style of the lines, as for line plots. If color_func is None, all lines have the color defined in color. Otherwise, color_func is a function (or, more in general, a callable) that accept a single argument corresponding to the index of the line and returns a RGBA 4-tuple. These plots display information as a two-dimensional image. Unless otherwise stated, they are subclasses of Base2DPlot. The common interface for 2D plots is described in 2D Plots interface. 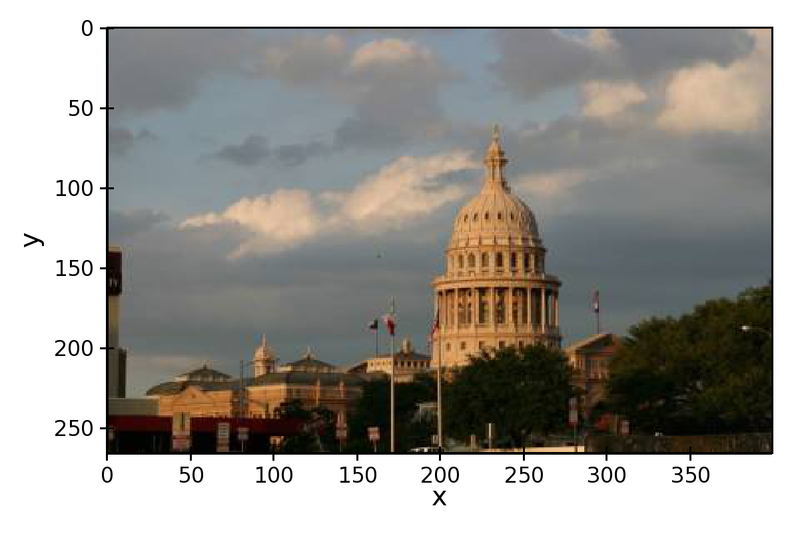 In an ImagePlot, the index attribute corresponds to the data coordinates of the pixels (often a GridDataSource). The index_mapper maps the data coordinates to screen coordinates (typically using a GridMapper). The value is the image itself, wrapped into the data source class ImageData. 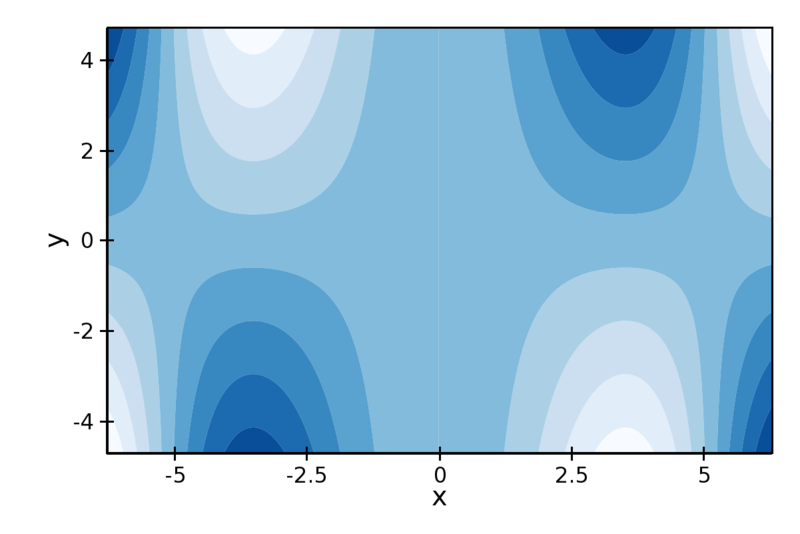 Plot a scalar field as an image. 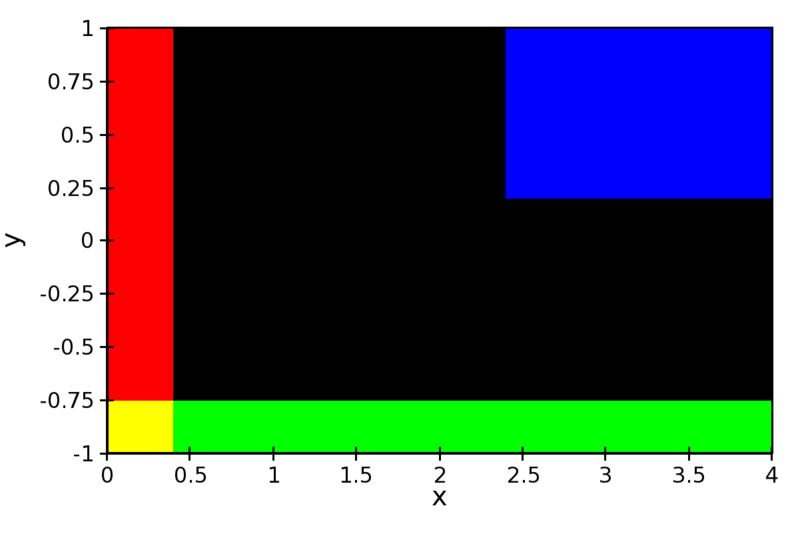 The image information is given as a 2D array; the scalar values in the 2D array are mapped to colors using a color map. The basic class for colormapped scalar plots is CMapImagePlot. As in image plots, the index attribute corresponds to the data coordinates of the pixels (a GridDataSource), and the index_mapper maps the data coordinates to screen coordinates (a GridMapper). The scalar data is passed through the value attribute as an ImageData source. Finally, a color mapper maps the scalar data to colors. The module chaco.default_colormaps defines many ready-to-use colormaps. 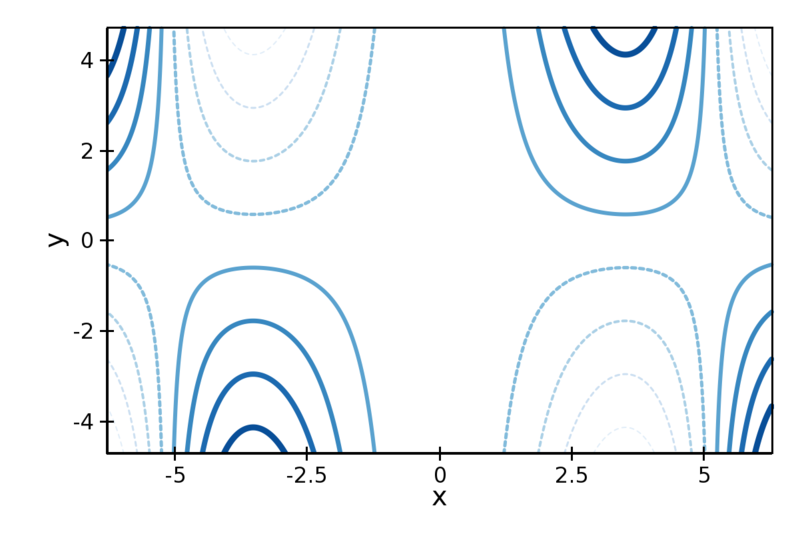 Contour plots represent a scalar-valued 2D function, z = f(x, y), as a set of contours connecting points of equal value. This attribute is used to define the color of the contours. colors can be given as a color name, in which case all contours have the same color, as a list of colors, or as a colormap. If the list of colors is shorter than the number of levels, the values are repeated from the beginning of the list. If left unspecified, the contours are plot in black. 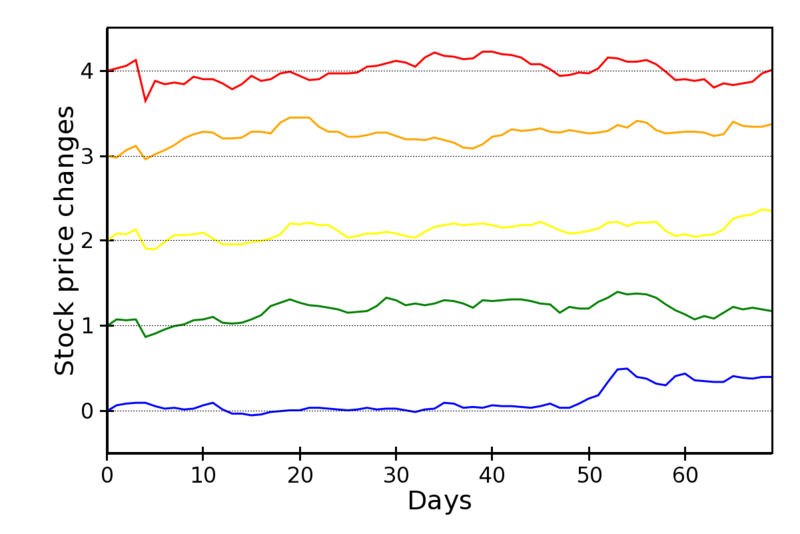 Colors are associated with levels of increasing value. Global alpha level for all contours. The thickness of the contour lines. It can be either a scalar value, valid for all contour lines, or a list of widths. If the list is too short with respect to the number of contour lines, the values are repeated from the beginning of the list. Widths are associated with levels of increasing value. The style of the lines. It can either be a string that specifies the style for all lines (allowed styles are ‘solid’, ‘dot dash’, ‘dash’, ‘dot’, or ‘long dash’), or a list of styles, one for each line. If the list is too short with respect to the number of contour lines, the values are repeated from the beginning of the list. The default, ‘signed’, sets all lines corresponding to positive values to the style given by the attribute positive_style (default is ‘solid’), and all lines corresponding to negative values to the style given by negative_style (default is ‘dash’). Draw a contour plot as a 2D image divided in regions of the same color. The class ContourPolyPlot inherits all attributes from BaseContourPlot. Draws a polygon given the coordinates of its corners. The x-coordinate of the corners is given as the index data source, and the y-coordinate as the value data source. As usual, their values are mapped to screen coordinates by index_mapper and value_mapper. The color of the line on the edge of the polygon (default is black). The thickness of the edge of the polygon (default is 1.0). The line dash style for the edge of the polygon, one of ‘solid’ (default), ‘dot dash’, ‘dash’, ‘dot’, or ‘long dash’. The color of the face of the polygon (default is transparent). This section collects all plots that do not fall in the previous two categories. 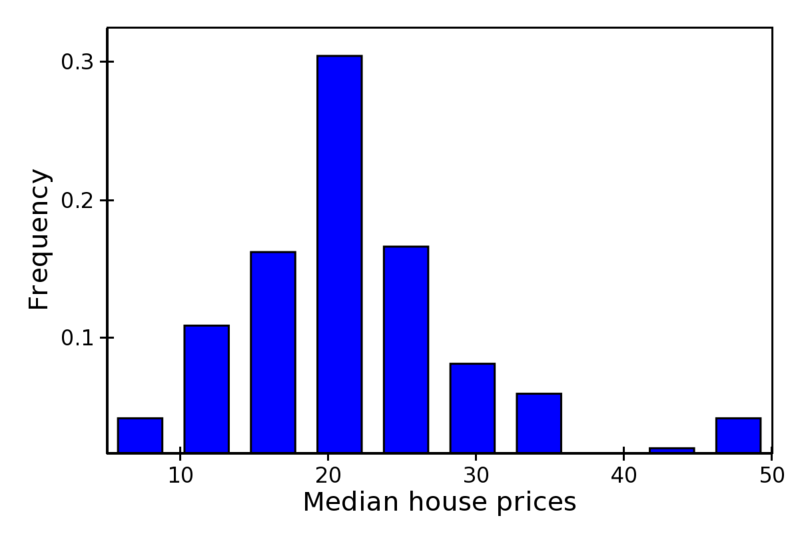 Draws a set of rectangular bars, mostly used to plot histograms. Determines how to interpret the bar_width parameter. If ‘data’ (default’, the width is given in the units along the index dimension of the data space. If ‘screen’, the width is given in pixels. The width of the bars (see bar_width_type). The color of the bars. This is a kind of scatter plot which draws an arrow at every point. 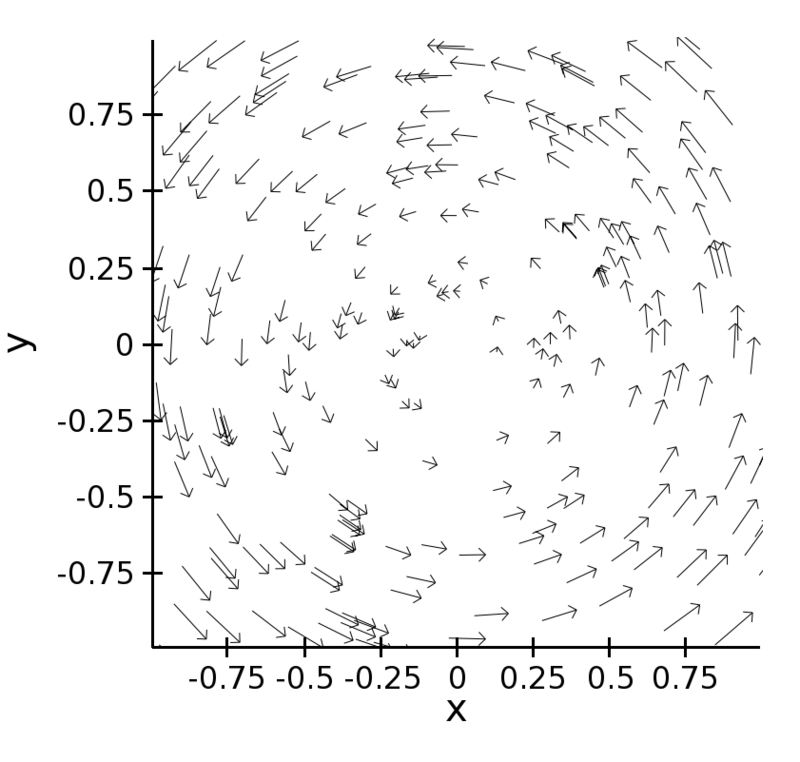 It can be used to visualize 2D vector fields. The information about the vector sizes is given through the data source vectors, which returns an Nx2 array. Usually, vectors is an instance of MultiArrayDataSource. Width of the lines that trace the arrows (default is 1.0). The color of the arrows (default is black). The length of the arrowheads in pixels. 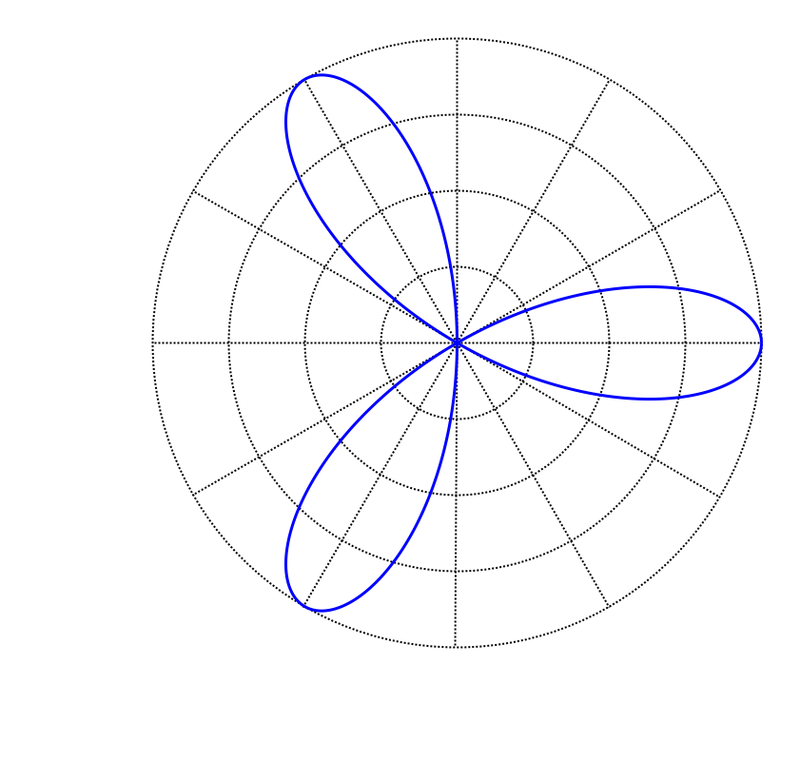 Display a line plot in polar coordinates. The implementation at the moment is at a proof-of-concept stage. The class PolarLineRenderer relies on PolarMapper to map polar to cartesian coordinates, and adds circular polar coordinate axes. At the moment, PolarMapper does not do a polar to cartesian mapping, but just a linear mapping. One needs to do the transformation by hand. 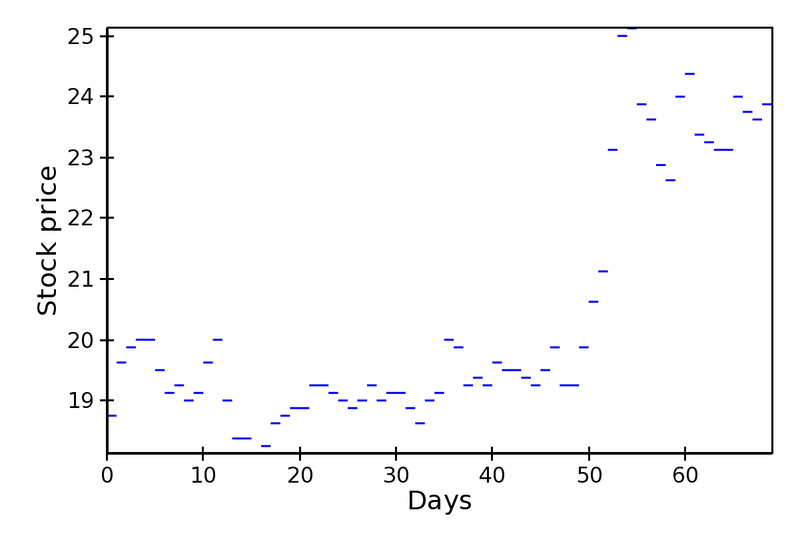 Width of the polar plot line (default is 1.0). The style of the lines composing the axis, one of ‘solid’,’dot dash’, ‘dash’, ‘dot’ (default), or ‘long dash’. If True (default), the circular part of the axes is drawn. If True (default), the radial part of the axes is drawn. Width of the radial axis in pixels (default is 2.0). 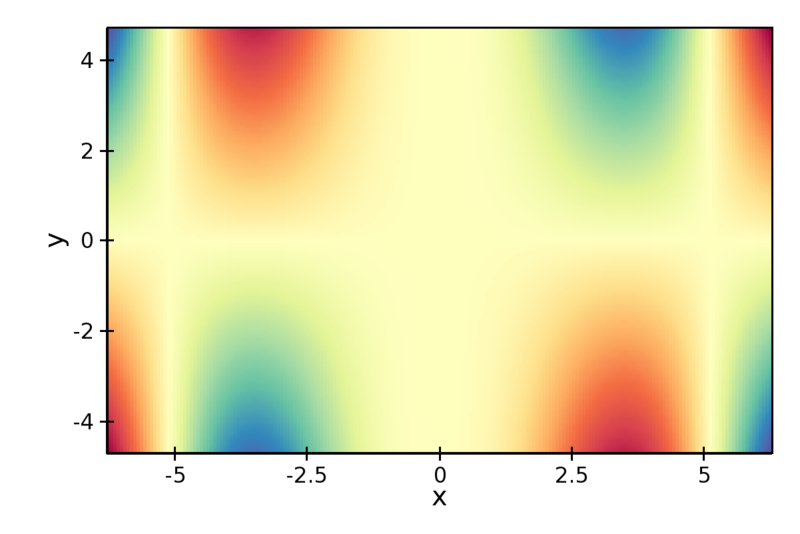 A plot showing 1D data by adding a random jitter around the main axis. 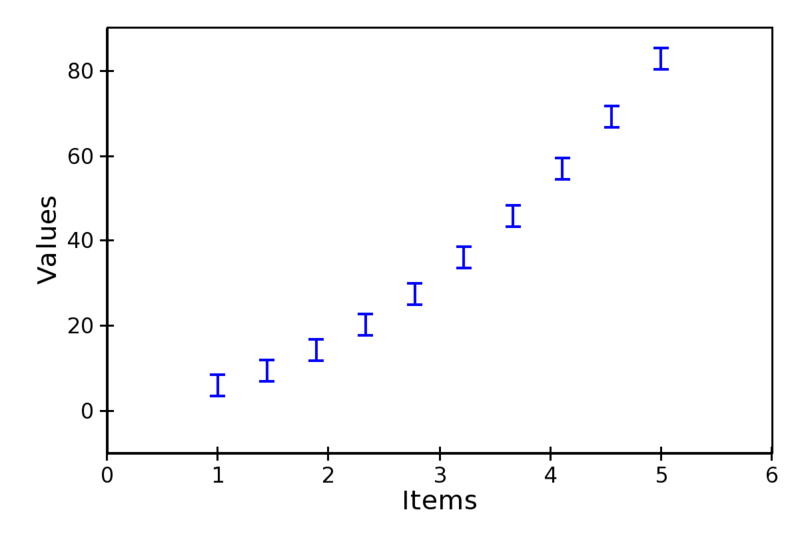 It can be useful for visualizing dense collections of points. This plot has got a single mapper, called mapper. The size, in pixels, of the random jitter around the axis. Size of the marker in pixels, not including the outline (default is 4.0).